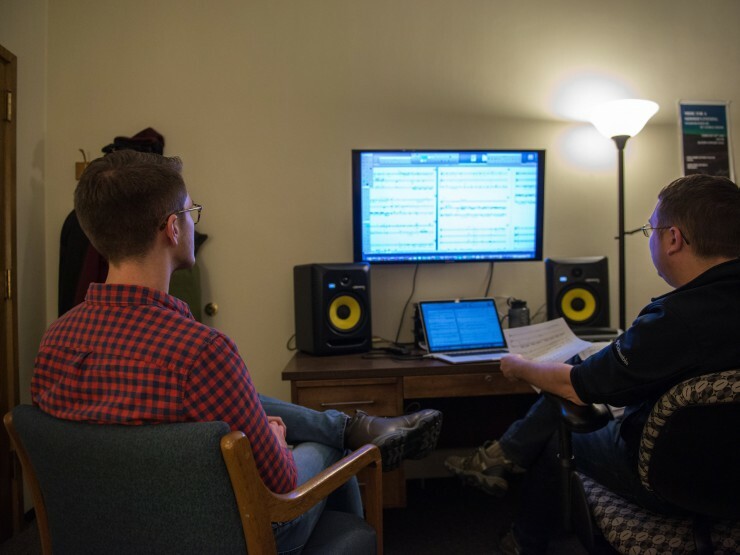 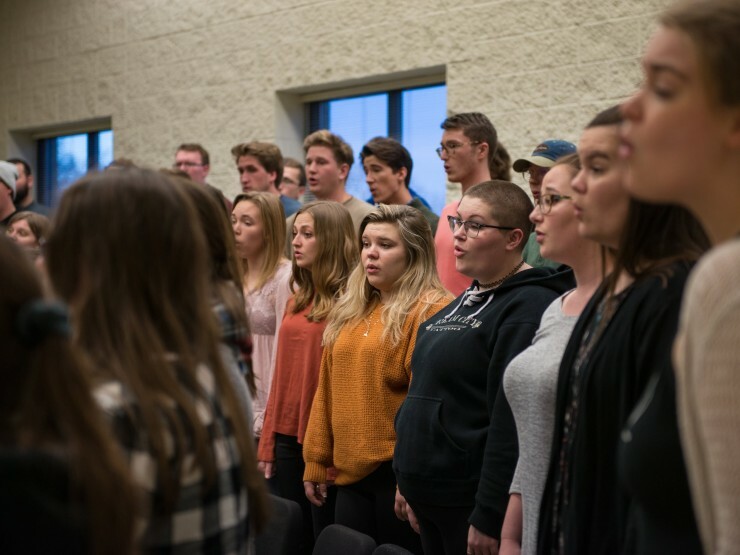 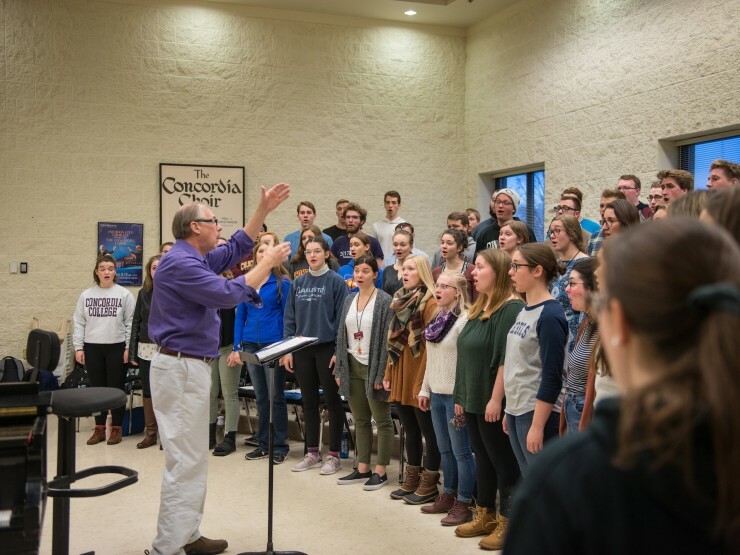 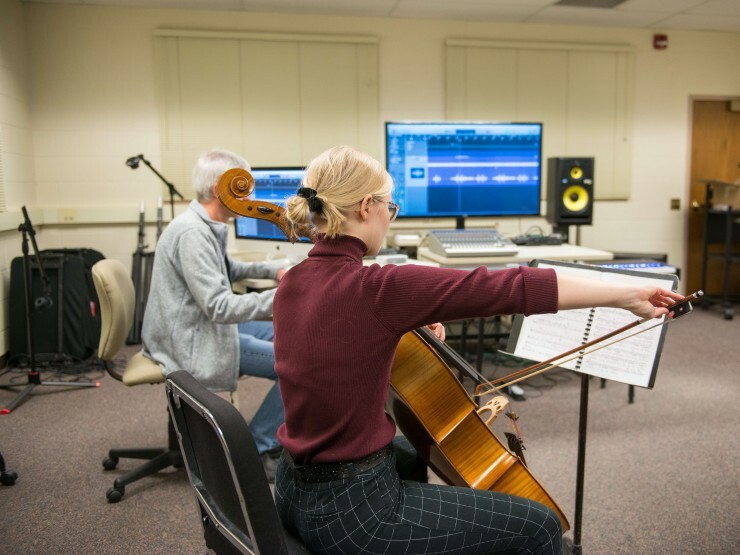 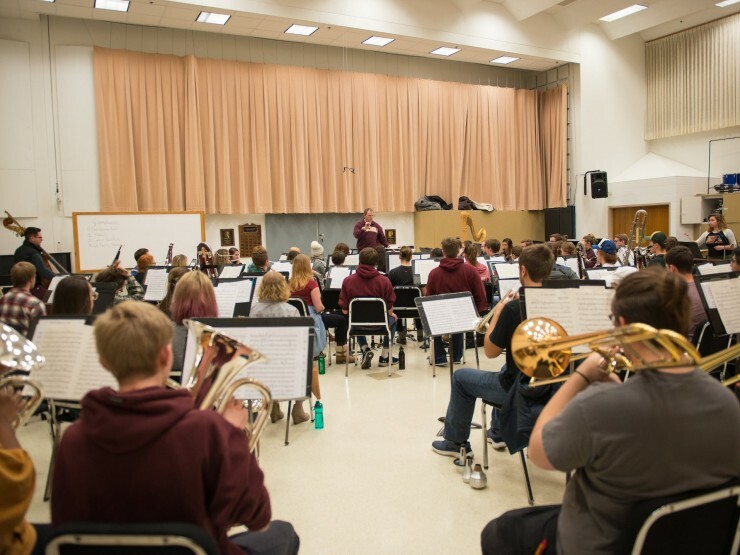 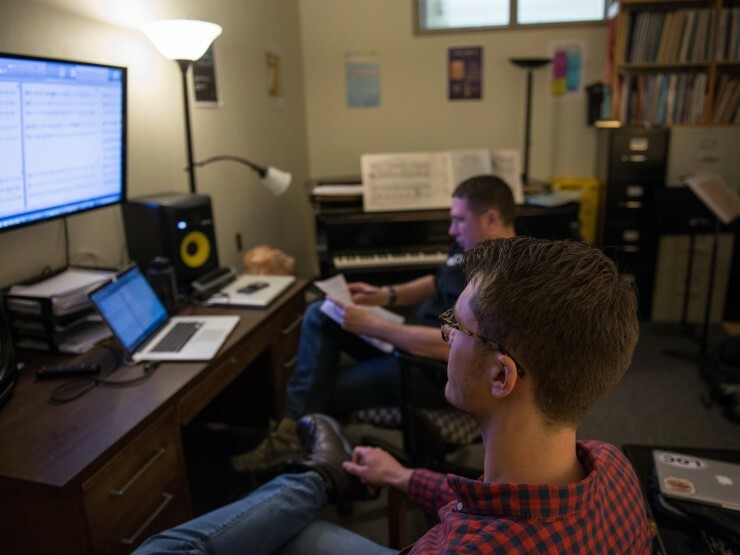 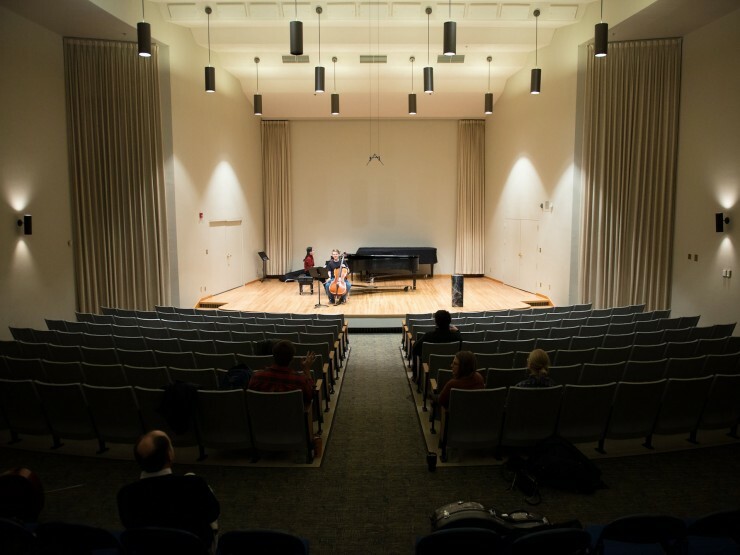 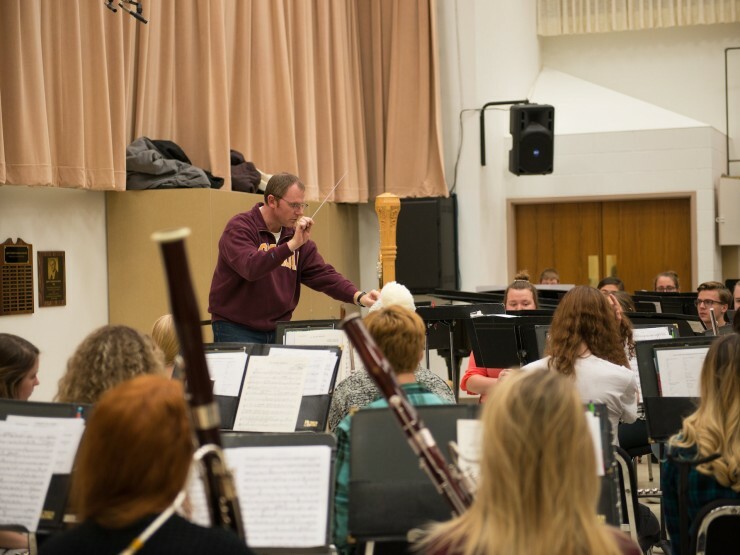 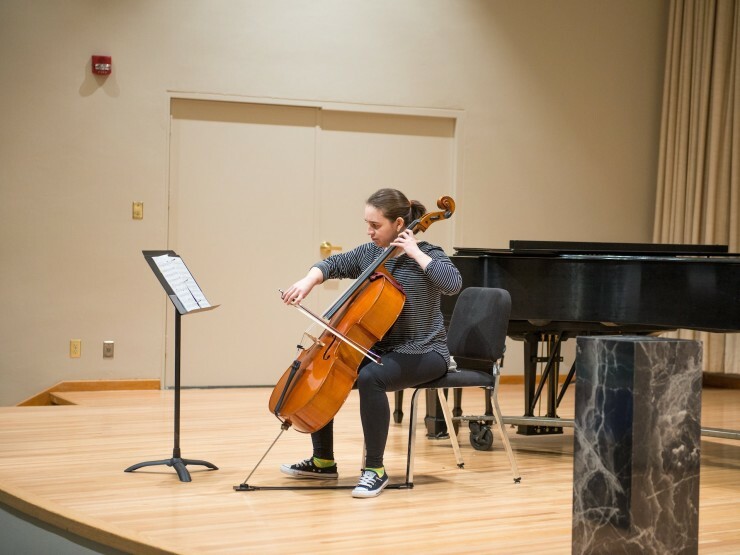 From collaborative work spaces to individual and ensemble practice rooms, the facilities at Concordia go hand-in-hand with our first-rate faculty to bring you a nationally recognized education in music. 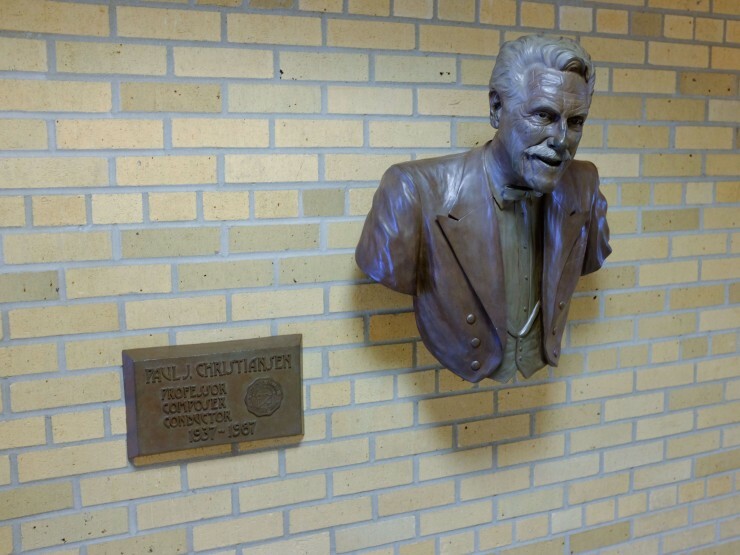 Concordia professor, composer, and conductor Paul J. Christiansen showcased in the Hvidsten Lobby outside the recital hall dedicated in his honor. 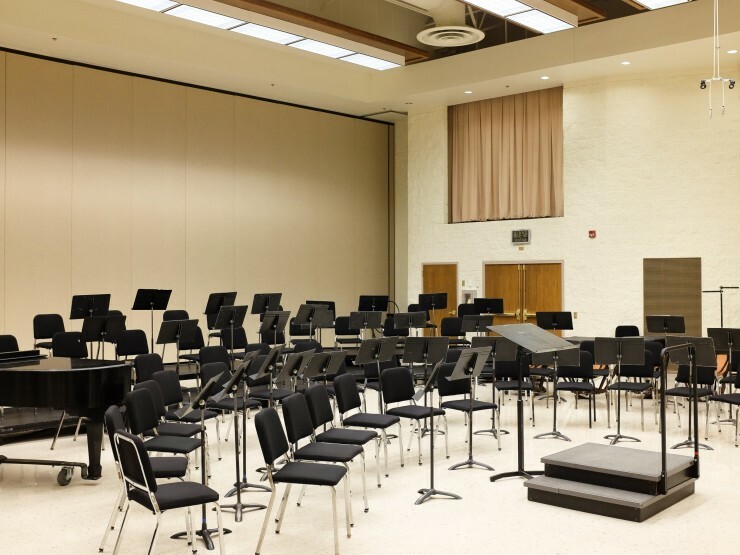 Most music making in the Concordia Band happens in this room: Hvidsten 137. 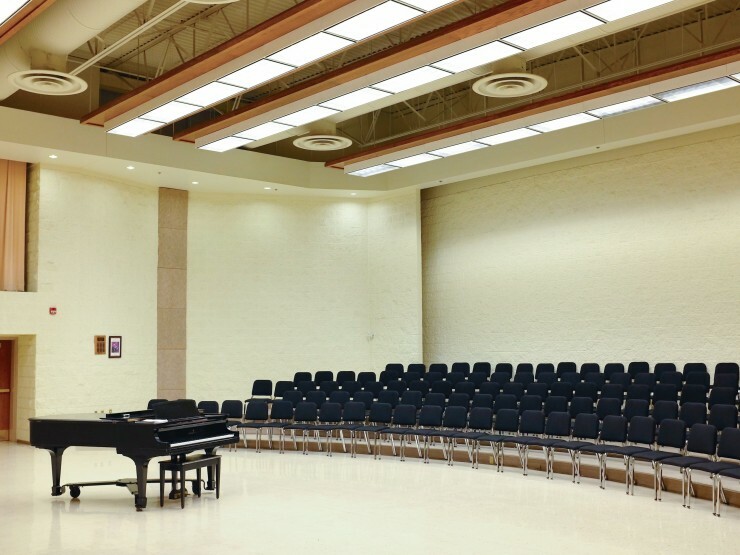 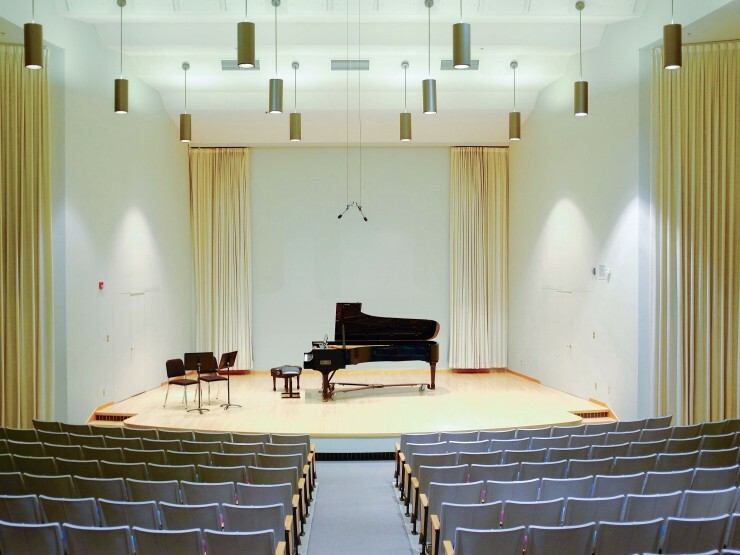 The Howard Choral Rehearsal Hall is also known as the South Choral room. 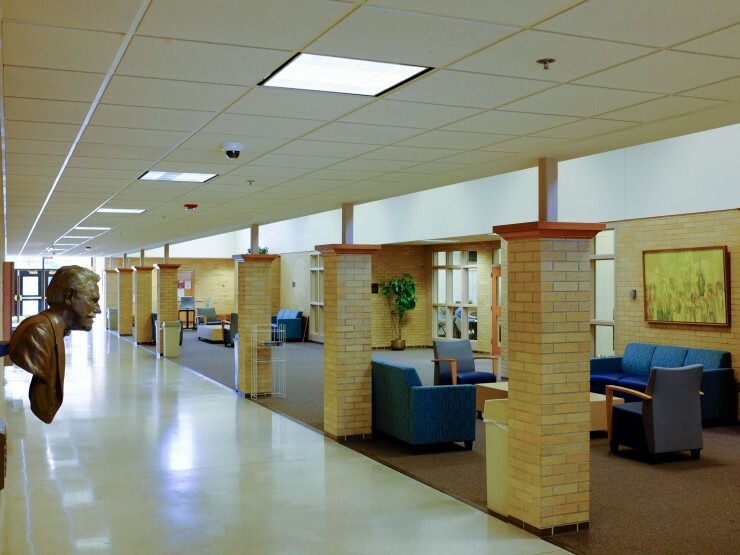 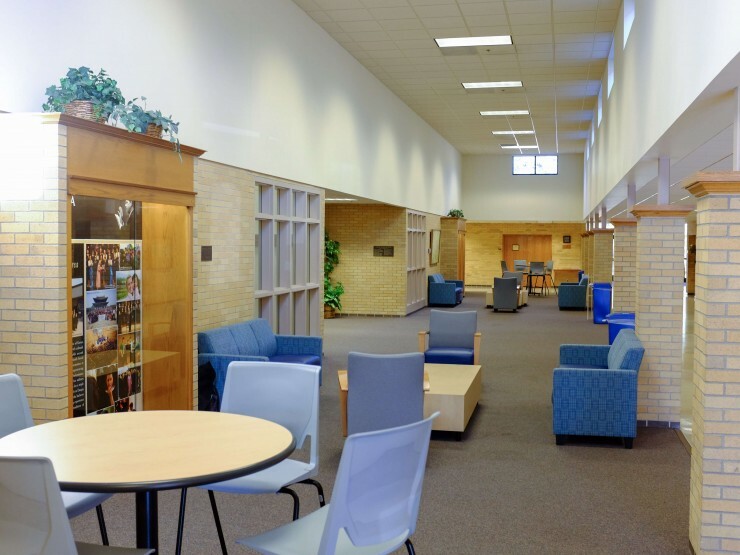 The famous blue chairs located in the Hvidsten Lobby where you can find a multitude of students throughout the day. 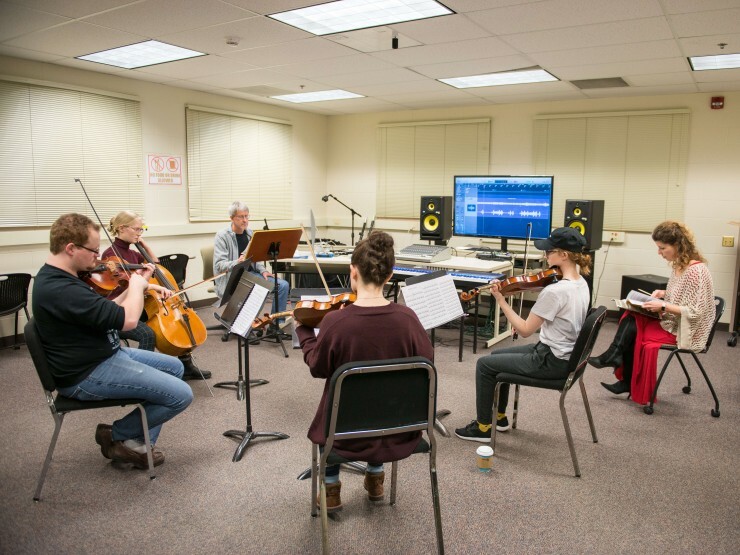 Students utilizing and learning in the new Electronic Music Learning Lab Space.